What's the Status of Little Miss Monarch? Mosquitoes Are Back, and I've Got Just the Thing! I awoke this morning with butterflies in my stomach and the irony of that was not lost on me. Today dawned with bright sunshine and clear skies. If I were traveling anywhere by plane today, I would say it's a great day for flying. 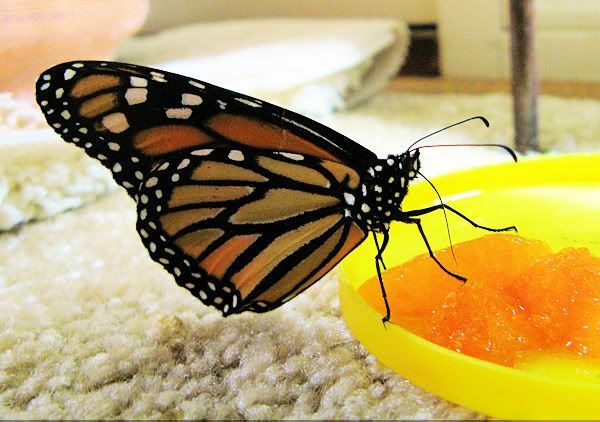 When I went into the dining room to do pre-flight preparations for Little Miss Monarch, she was sipping from the oranges. It's as if she too knew what lay ahead of her. And indeed she does. God made her that way. While I waited for her to finish her meal, I put the memory card into the camera and got my shoes on. I checked the temperature outside: 53°. Breezes of 9 MPH seemed ideal. 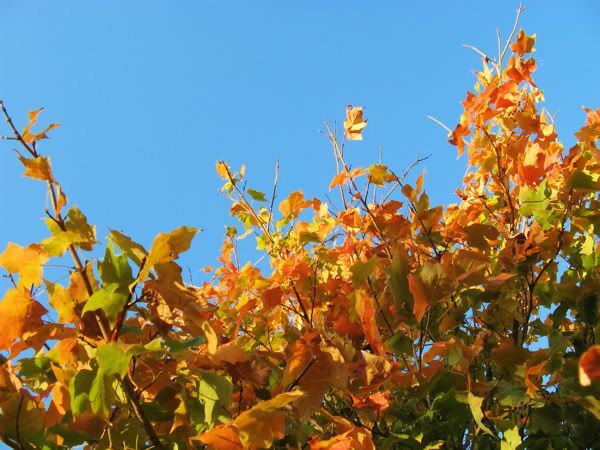 The forecast for the coming week couldn't be better, with Indian Summer weather upon us. Not wanting to waste a precious moment of potential flying time, I put my finger out and Little Miss Monarch crawled on board. We went out the front door and walked over to the south side of the house where the sun was shining and the mums were still in bloom. I gave her a little kiss for luck, let her down to the yellow ones, and she crawled out onto them. I wondered if she would take right off, but she slowly opened and closed her wings, perhaps testing the air. While I wanted to stay right there and watch to see her as she took flight, she didn't seem anxious to be on her way, so I went back into the house, where I peeked out the window at her every ten minutes or so. The third time I looked, she was gone. I have mixed feelings as I think about her and what might be her fate in the coming days and weeks. My hope is that she knows the urgency of her mission and will put as many miles behind her in the first days of her flight as possible. But she is part of a larger plan that neither of us has much control over. 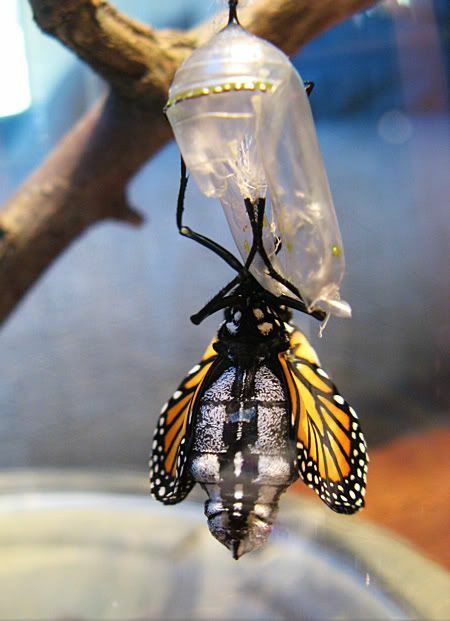 Still, I can't help but think that my deciding to bring her in nearly a month ago set in motion that larger plan and all has gone just the way it was supposed to - for this Monarch. We've had below freezing temperatures for many nights since that time and even some frozen precipitation mixed in with rain just a couple of days after she emerged. She was snug and warm inside and we were able to keep her safe and fed until better flying days came along. Now with nearly a week of unseasonably warm weather before us, she has the best chance of fulfilling her life's purpose. Be safe and live well, Little Miss Monarch. Thank you for letting us be a part of the miracle you are. Last week, "there came a killing frost" and fall definitely had its game on. The colors are not as vibrant after a dry summer and we sure had that, just like last year. But you can't keep a good woman down and Mother Nature showed us that she still had plenty of tricks up her sleeve. 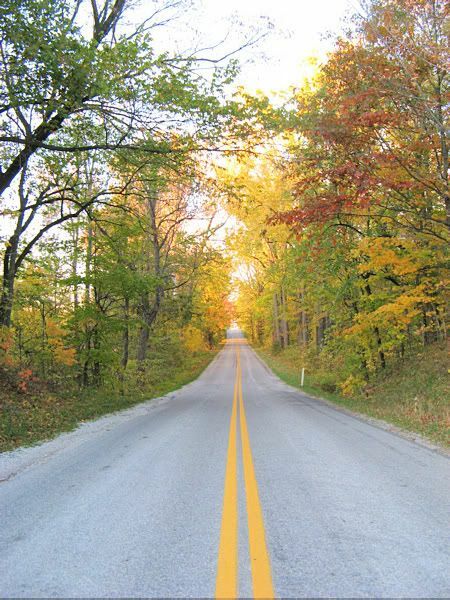 In years past, it seems to me that the plants and trees that change colors reached their peak at pretty much the same time. This year it was more spread out, which is why this post has been so late in coming. Just as I thought everything had turned, one more plant or tree surprised me. The high winds we had over the weekend brought down a lot of the beautifully colored leaves, but I had taken several pictures of them before that happened. 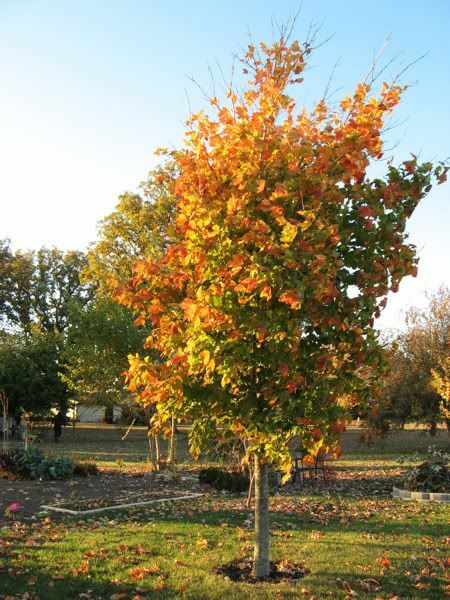 This is the only maple (Acer sp.) in our yard that turns this gorgeous shade of orangy-yellow. It's my favorite color on the trees in the fall. 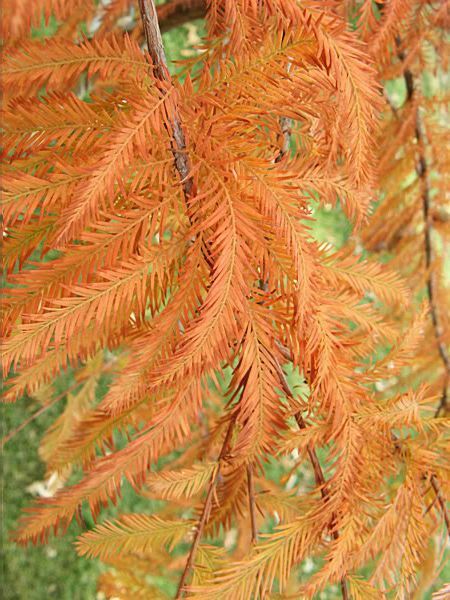 The Bald Cypress (Taxodium distichum)always turns the most gorgeous shade of peachy gold. At the very back of Our Little Acre are some Burning Bushes (Euonymus alatus) and our new-this-year Witch Hazel (Hamamelis vernalis), contrasting nicely. 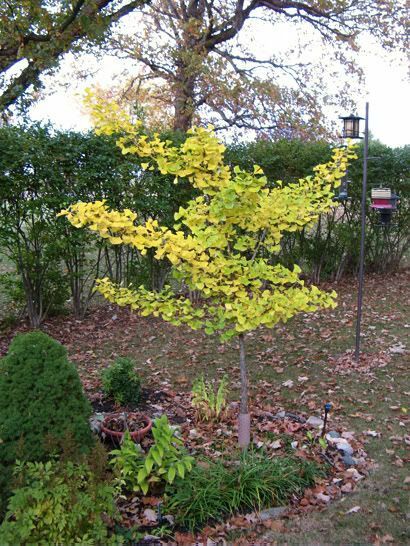 This Ginkgo (Ginkgo biloba) tree has been in this spot for three years now. Previously it was in the front of the house, which proved to be a bad spot in terms of protection from the strong winter winds we get. It's been much happier here on the east side, where it has a little protection from the house. 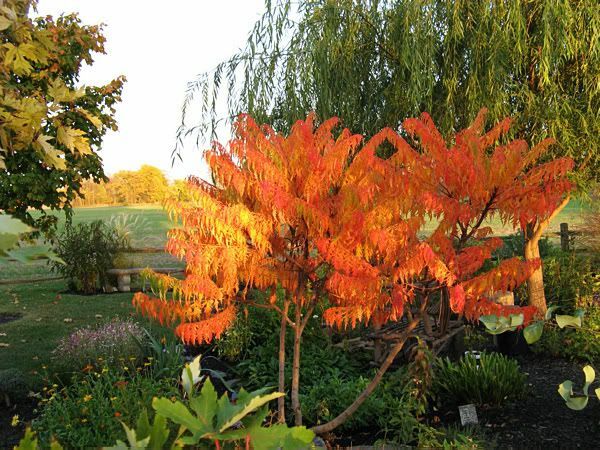 Probably the most vibrant of anything we have, the Cutleaf Staghorn Sumac (Rhus typhina) absolutely glows in Max's Garden, especially when the late afternoon sun shines on it, as it is doing here. 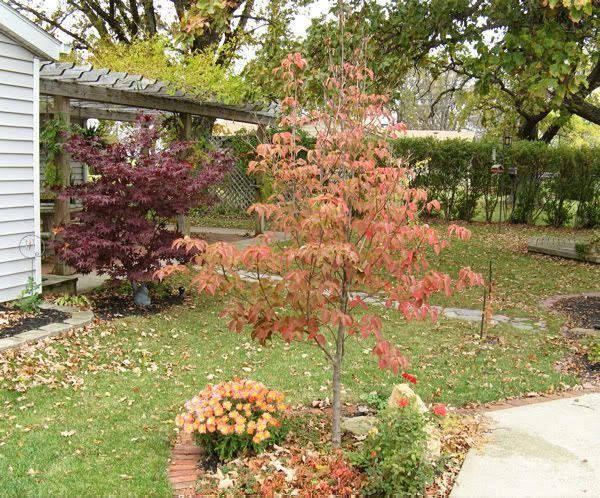 The Japanese Maple (Acer palmatum 'Emperor II') really hasn't gotten its usual fall color yet, for some reason. A smaller Japanese Maple (Acer palmatum 'Mikawa yatsubusa'), which is planted under the kitchen window just around the corner from this one, is still green as green can be. But the Kousa Dogwood (Cornus kousa) in the foreground is just gorgeous! I don't remember it being this red before. The Beauty Bush (Kolkwitzia amabilis 'Dream Catcher') is new to Our Little Acre this year, too. It has lovely pink coloring right now. 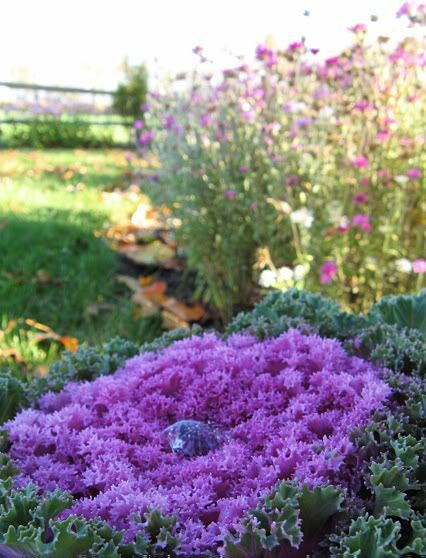 I have always loved Flowering Kale (Brassica oleracea var. acephala 'Nagoya') and this fall, they have been fabulous. I've got both purple and white. As you can see, the frost hasn't hurt them a bit. The Xeranthemum in the background is unfazed by it so far, too, and echoes the magenta colors beautifully. 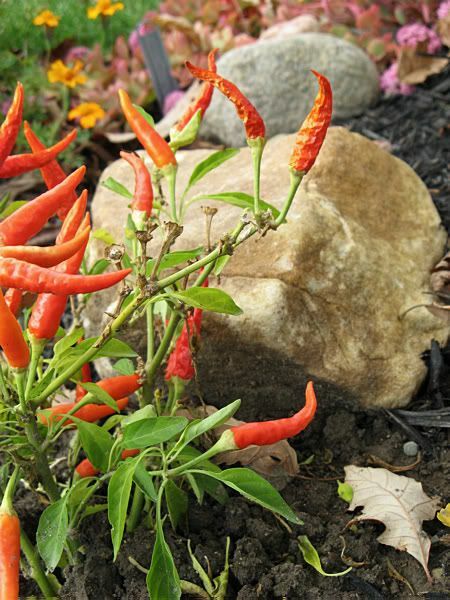 The ornamental peppers (Capsicum annuum 'Medusa') have been casting their orange spell for several months now. A couple of hard frosts finally did it in though. Behind the small bird bath/feeder, the Viburnum (not sure which kind - it was a passalong from my grandma) is glowing a muted red. 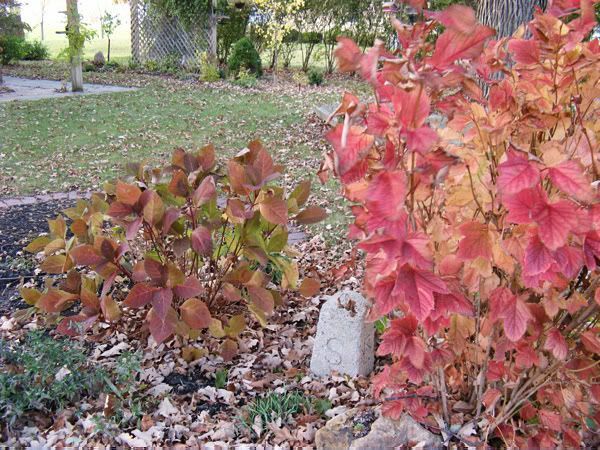 The fountain that is usually in this spot has been put away for the winter, but the Viburnum on the right (same one that's shown in the photo above) provides good color interest and the Hydrangea 'Lady In Red' shows just one of the reasons she was so named. 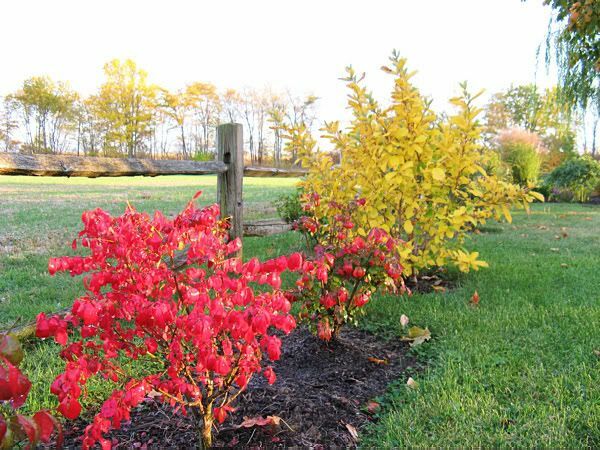 For more beautiful color shows from various locations around the world, visit The Home Garden, where Dave is hosting The Garden Blogger Fall Color Project. 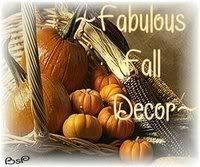 Now that I've shared some of the beautiful color here, I feel better about having received the Fabulous Fall Decor Award, which was presented to me by three fellow bloggers on the same day! Thank you, Perennial Gardener (Does Everything Grow Better in My Neighbor's Yard? ), Lona (A Hocking Hills Garden), and Vicki (Havenwood). Just a quick little update on Little Miss Monarch. Things are going well. I had said before that I hadn't seen her in the act of sipping from the orange slices, but this morning I caught her at it. She flutters about the room and most of the time she is on the window sill, looking out, no doubt wanting to be out there on her way to her destination. If the Weather.com weather report is accurate, we'll be releasing her tomorrow. We're to have several warm days in a row - hopefully enough to get her far enough south to miss the returning colder weather. I don't like those nighttime temperatures, but I'm sure she'll find a protected tree or shrub to roost for the night, then continue on when it warms enough during the day for her to fly. Don't worry - there are some actual gardening posts coming up. This is a gardening blog after all. LOL. 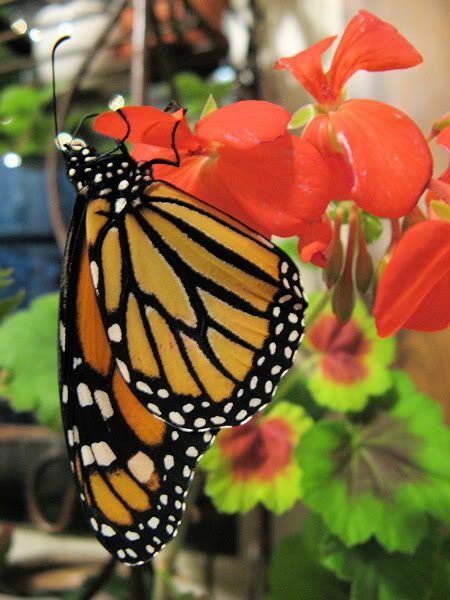 Little Miss Monarch is still residing in our dining room and seems to be doing well. She's fairly active I think, because every time I go in there to check on her, she's in a different spot. She's so cute - when I put my finger in front of her, she'll walk right onto it and let me carry her around the room. Sometimes she'll fly off, but she always comes back to me, usually landing on my arm or shoulder. When I put her down, I set her next to the food and water I've provided. Up until about an hour ago, I hadn't seen her sipping anything, but when I went in there this last time, she was sipping from the orange slices. She wasn't anywhere near this when I'd checked on her earlier in the evening, so I think she knows where her food is now. Shady Gardener wondered if I had any fresh blossoms from which she might get nectar and unfortunately, the killing frosts we've had in the last week have done in nearly everything. But I did have a couple of plants that I'd brought in for the winter that still have blossoms on them, so I put those in the room and gently placed her on one of them. I've got tropical hibiscus blooming as well as a pelargonium ('Red Happy Thought'). The big brugmansia is done blooming now, but I've got another smaller one that has new blossoms forming. Hopefully, the break in the weather that is predicted for later this week will be a reality and we can attempt to release her again and she will take off for Mexico. 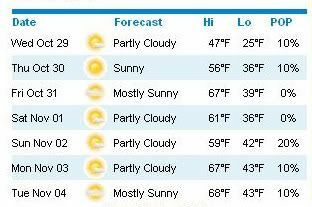 We're to have a few days in a row of weather that's sunny and around 60°, starting Thursday. Today and tonight, we've had snow mixed with rain, so I feel good that she's safe and warm here inside. I called The Butterfly House earlier today and I got a recording that they are closed for the season. So I'm hoping Indian Summer will be a reality and she'll be able to get far enough south to get out of any more cold weather and that she'll meet up with some other late-goers so she doesn't have to make the trip all by her lonesome. Geesh, I feel like she's one of my kids. 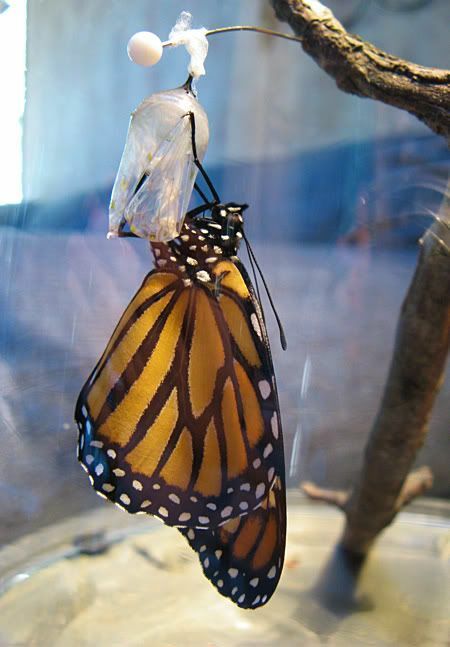 She came in as a caterpillar, transformed into a chrysalis, and metamorphosed into a butterfly - just like our two girls did in this very same house. All three were fascinating and beautiful to watch as they went through the stages of growing up. The girls are now successful adults, living the lives they were meant to have, and I want no less for Little Miss Monarch. I'll post another update after Thursday when we make another attempt at a safe release. I was beginning to think my Hardy Cyclamen (Cyclamen hederifolium) wasn't going to show this autumn. I've got three different ones and I'd not seen a sign of any of them as of a few weeks ago. 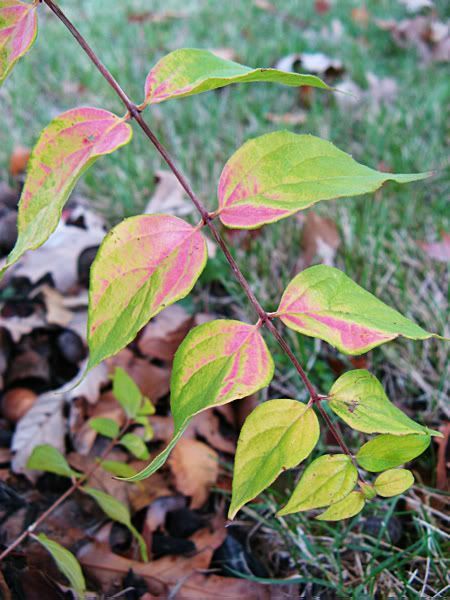 But then one day, I noticed the pale lavender blooms that look like pinwheels peeking through the leaves that had fallen from the Amelanchier that shades them. It's difficult (for me, anyway) to accurately capture the details of the blooms because they're so pale in color. Photographing white flowers can present much the same challenge. Though I love the form of the blooms, it's the foliage that inspired me to plant them in the first place. 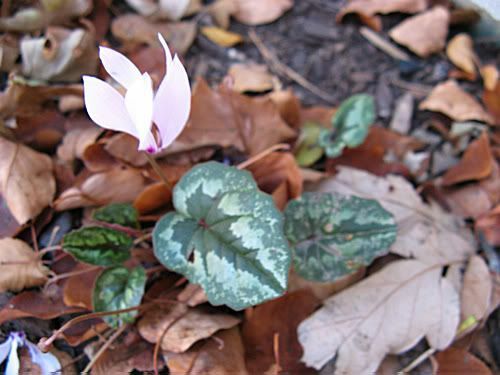 Hardy Cyclamen are spring and summer dormant, then pop up in the fall, as nights begin to cool down. 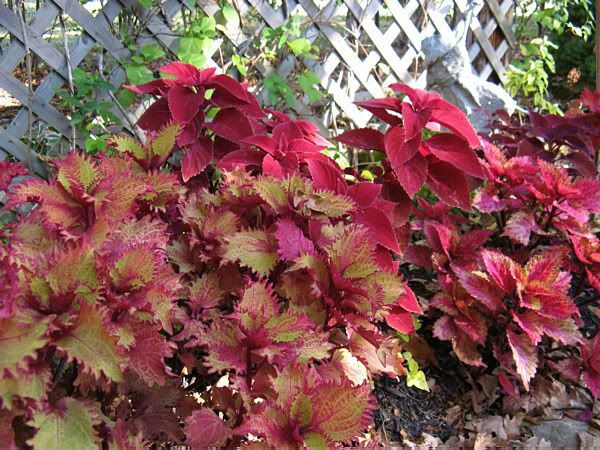 The foliage will remain long after most perennials have died down, as they can survive temperatures below freezing. In fact, I have had the foliage persist through winter until spring, but mine are in a very protected location. They grow from corms, like good drainage, and are hardy to zone 5. Little Miss Monarch concerns me. She was released yesterday afternoon after she exhibited the desire to fly while in the house. She had been opening and closing her wings while in the cloche, so I took her out and she took flight in the family room. Yes, definitely time to let her get on her way! We took her outside, where it was sunny and 60°, with a light breeze. She didn't want to leave my finger, even though I walked completely around the house with her. 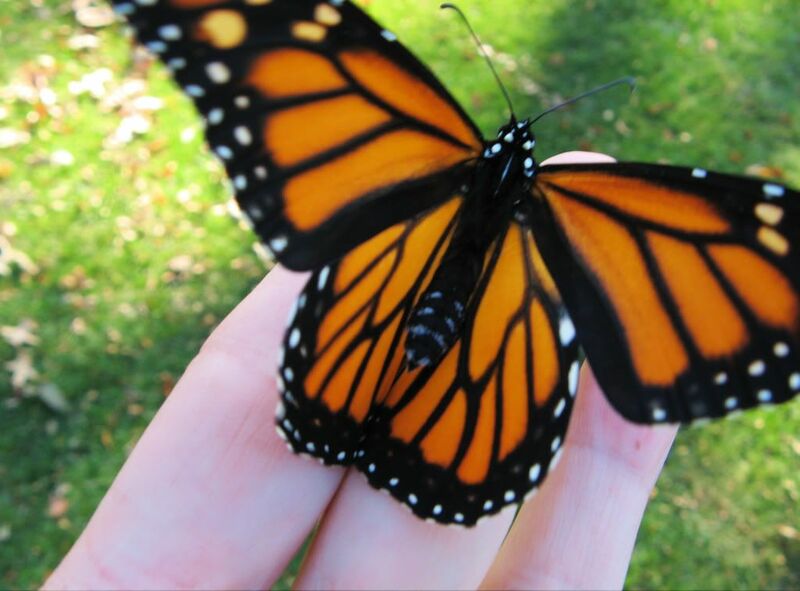 That happened one other time when we released a Monarch earlier in the summer. We had put it on a shrub and a little while later, it took off. This time, I decided to put her on a mum on the south side of the house, where the sun was nice and warm and there was a little bit of protection from the wind. A few hours later, she was still there. Romie and I left for the evening, to go see The 5 Browns at the Niswonger Performing Arts Center in Van Wert. Fabulous, these five siblings on their Steinways. I had seen them on Oprah awhile back and owned one of their CDs. I'm not a fan of piano music per se, but something about these five twenty-somethings was fascinating. Their enthusiasm for classical music and their talent for presenting it was compelling and we had a wonderful evening. While we were enjoying the concert, it had gotten windier and colder outside and I wondered how Little Miss Monarch was doing. I knew it was way too cold for her to fly and suspected she was still going to be perched on the mum when we returned home at 10:30. Sure enough, there she was, and I knew she would be there until morning. 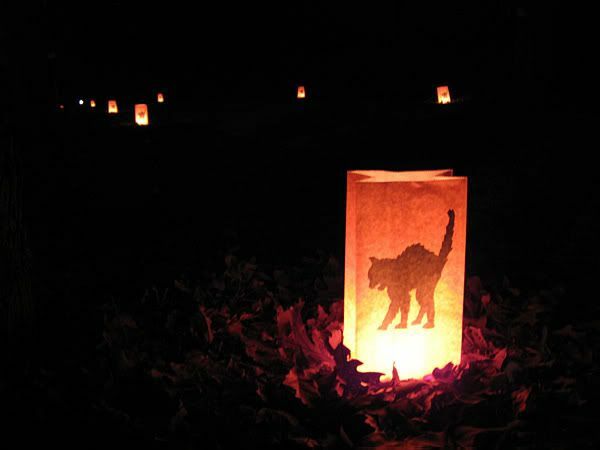 In the night, it had started raining, which continued all day today, along with cold temperatures and wind. Early afternoon, I went out to check on her, and she was being pounded by the rain. It was only 47° and it wasn't going to get any warmer, so I took pity on her plight and brought her back into the house. I got the punch bowl out again. 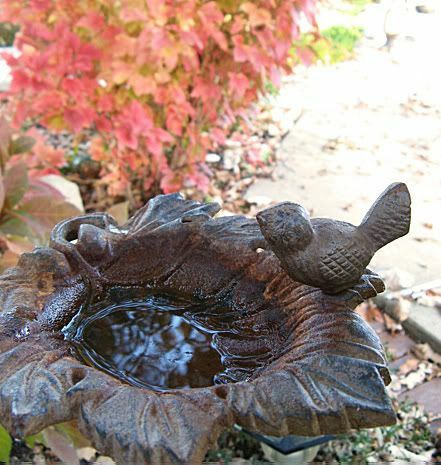 (This punch bowl has been used far more as a butterfly habitat than for punch!) I still had the stick on which she'd hung out for the last two weeks, so I put that in the bowl and got her some orange slices in case she was ready to eat something. Obviously, the warmth felt good to her, because after a short time she started walking around the bowl and climbed up the stick. 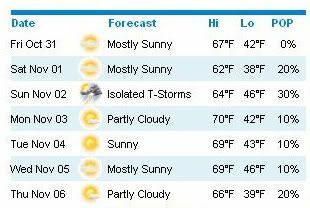 The forecast for the next six days is for rain, with daytime highs no more than 53° - certainly not flying weather for a Monarch. There's even a chance of snow flurries for Monday. So now what? 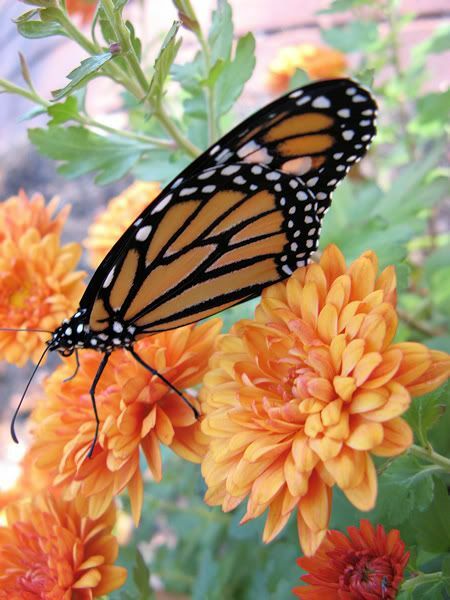 Sometimes Monarchs are too late to fly to Mexico and they die. 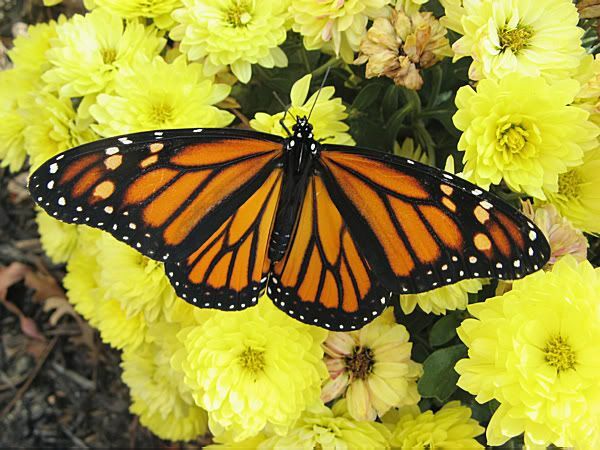 Monarchs born at this time of the year have the potential to live eight or nine months. 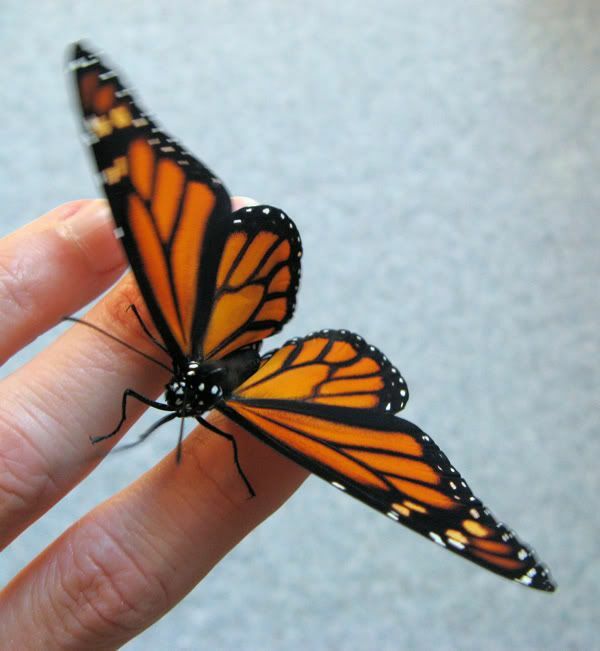 I want this butterfly to live a full and natural life. She can't fly when it's so rainy and cold, and her time to escape it is running out. 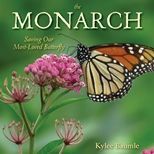 Is it possible to keep a Monarch for that long in captivity in one's house? 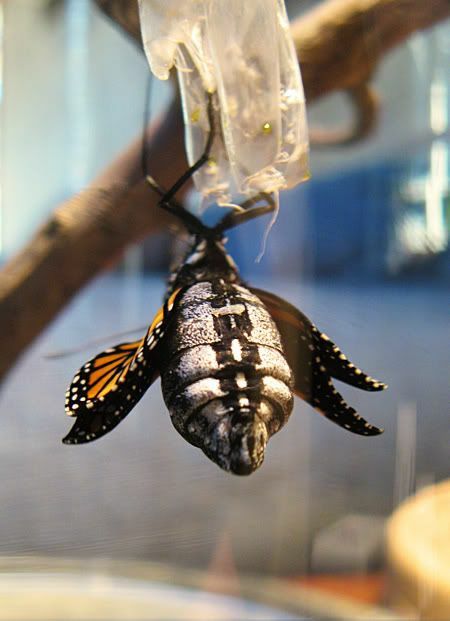 If the Monarch is transported to Florida, will it still find its way to Mexico? 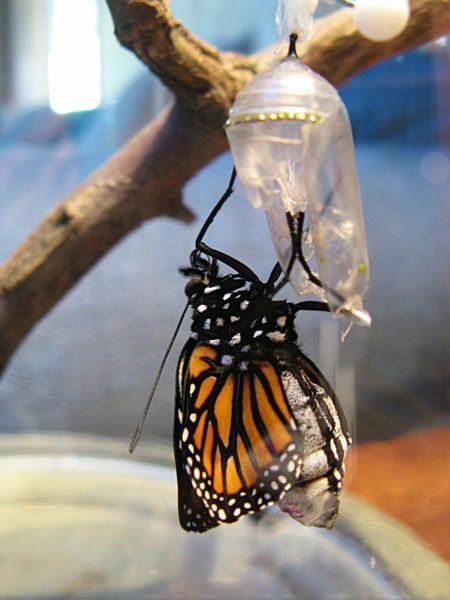 I wonder if a butterfly habitat such as The Butterfly House would take a Monarch? 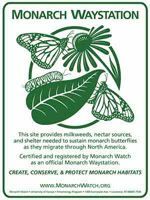 If you put a fall-born Monarch in a habitat such as The Butterfly House, will they "go crazy" if they can't fly to Mexico? Right now, she is sitting on the orange slice and has been there for some time. I haven't yet been able to catch her in the act of sipping, so I don't know if she's doing that or not. 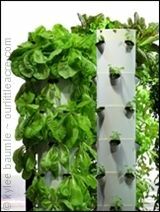 I'm going to do some research online as well as call The Butterfly House tomorrow. If anyone has any ideas or suggestions for what we might do to help this beautiful lady, we'd love to hear them. One morning after a particularly fearsome storm, a man arose early and decided to go for a walk along the sea. As he neared the beach, the early riser saw an old man in the distance slowly, yet purposely, ambling down the shoreline. As he watched, the old man stopped, picked something up, and tossed it into the ocean. Then, the old man slowly straightened himself up, walked several more feet, stooped down, and once again picked up something, which he tossed into the sea. Intrigued, the early riser moved closer. As he drew near, he realized suddenly what the old man was doing. Littered all down the shoreline, as far as the eye could see, were thousands upon thousands of starfish cast out from the ocean by the fury of the now-passed storm. As the early riser watched, the old man bent down, gently picked up a small, helpless starfish, and tossed it back into the ocean. He repeated the same process every few feet. After a minute or two, the early riser approached the old man. "Good morning, sir" he said. "I couldn't help notice what you're doing. I commend you for what you're trying to do, but the storm has washed up thousands of starfish on this beach. You can't possibly save them all! What possible difference do you hope to accomplish?" The old man paused for a long time, pondering the early riser's question. Finally, without saying a word, he bent down, picked up a starfish, and tossed it far into the ocean. "It made a difference to that one," he said. 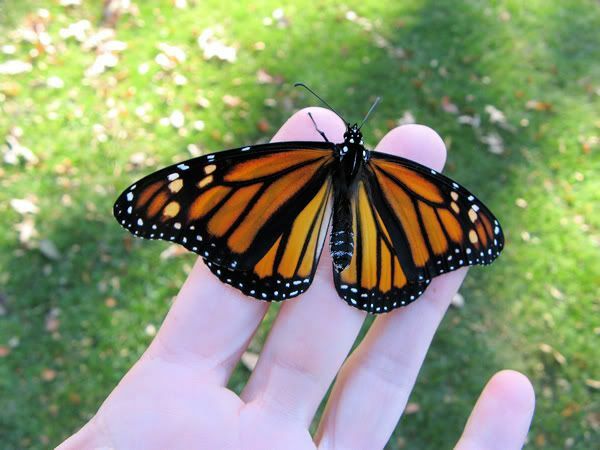 It's supposed to reach 60° later today and it's sunny, so as soon as it's warm enough and Little Miss Monarch is ready to fly, I will set her on her way. It will take approximately two months for her to make the trip to Mexico and at this late date, she has absolutely no time to lose. Averaging 200-250 miles a day, she will undoubtedly encounter more cold air before she reaches the warmer southern climate where she will be more comfortable. 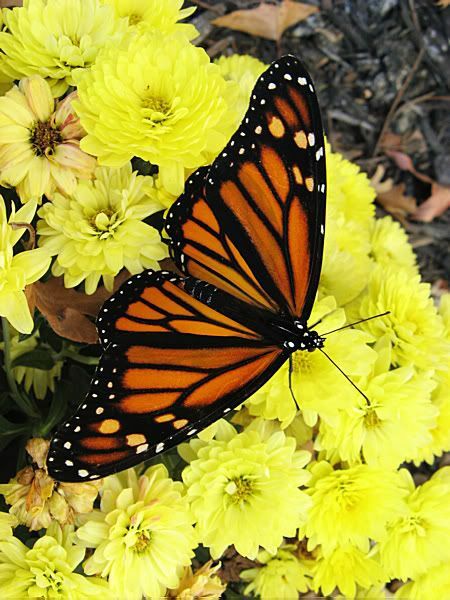 We saw a Monarch butterfly sipping nectar from a wildflower in the next-door neighbor's yard on Monday. Now this is late. Most of his buddies are long gone from here and well on their way to Mexico. In fact, some of them are already there. 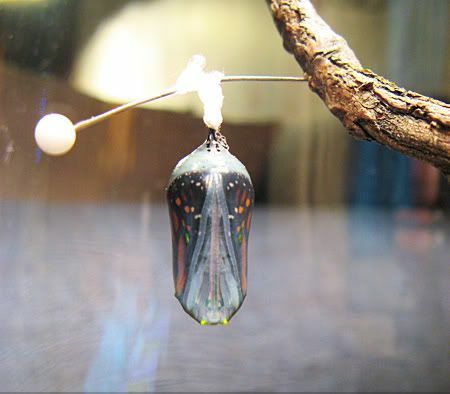 But even more alarming is that we have two chrysalids right now here at Our Little Acre. A little over two weeks ago, I was shocked to find one larger and one very tiny Monarch caterpillar munching on the tropical milkweed (Asclepias curassavica). Night temperatures had dipped near freezing and we'd had two light frosts already. Since Monarchs can't fly if the temperature goes below 50° (and even then it has to be sunny if it's below 60°), I worried about these two. I took the larger one into the house, since I was pretty sure it was close to pupating, but left the smaller one, so he could eat more fresh milkweed until he was large enough for pupation. I thought maybe the warmer temperatures in the house might speed up the development. So much for that theory. 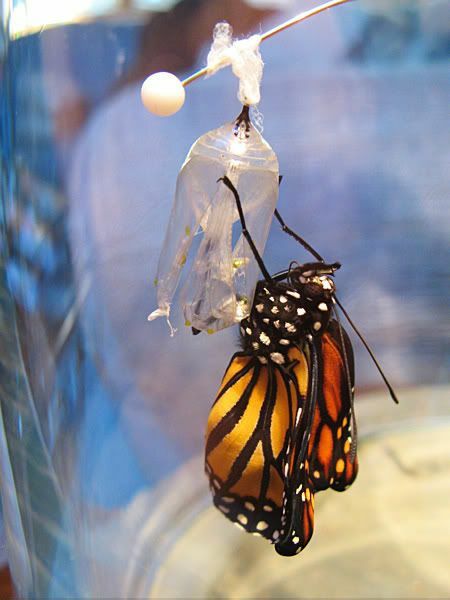 It formed its chrysalis the very next day and now it's been nearly 16 days, which is the longest span of time it's ever taken for a Monarch to develop while in captivity here. 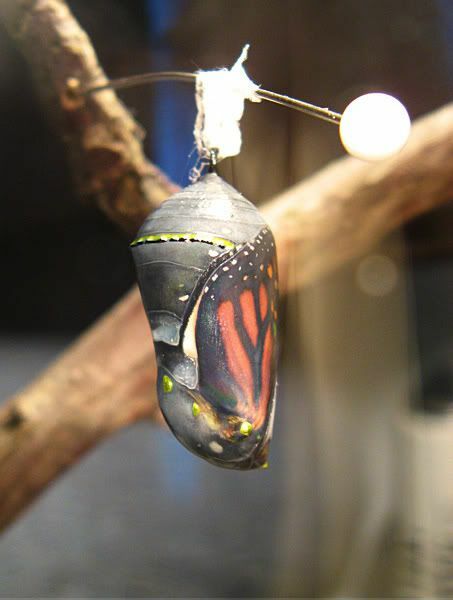 But last night, I noticed the chrysalis becoming darker and today I could see the Monarch butterfly clearly through the chrysalis casing. It will soon eclose (emerge). In fact, I'm keeping a vigil as I write this, because this will be the last chance I'll have to see this particular part of the amazing process until next year. I've missed it every other time we've had a chrysalis in the house. 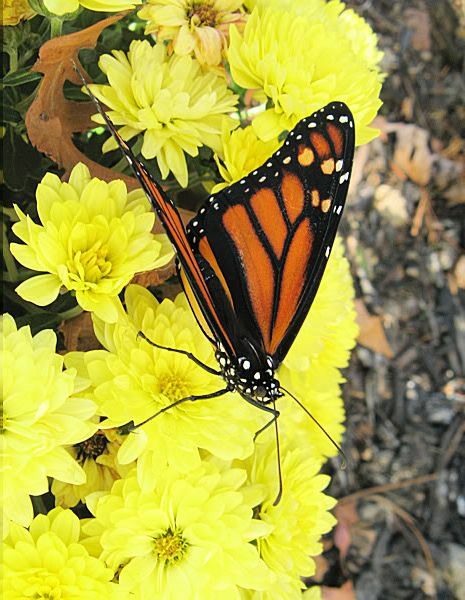 This Monarch isn't the last Monarch of the season here, however. Remember that I said there was another smaller caterpillar on the milkweed the same time I found this larger one? A little over a week ago, I checked on it and it was getting quite large - large enough to be pupating - and I'm sure that's just what it did later that same day. I was thinking of bringing it inside the house, too, but when I went out to get it, it was nowhere to be found. I looked around a little bit, but I wasn't able to locate it anywhere. I'm certain it's there, well hidden, with about another week to go before its metamorphosis is complete. I pray we have enough warm weather left for it to be able to fly south, or it will certainly die. We had our first killing frost last night and there's another one due tonight. So far, reports are that the migration numbers are down from previous years. This may be due to a couple of different factors: Ongoing reduction in natural habitats due to herbicide use and urban development, and fewer births occur during a hot and dry summer. 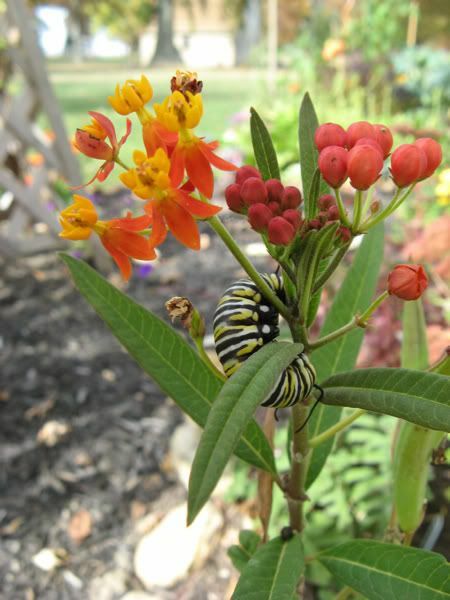 There's not much that can be done about the latter, but if gardeners were sure to plant more milkweed (any Asclepias species will do) and reduce pesticide use in their gardens, it would go a long way to help increase the Monarch population. It's now 3:00 a.m. and while the casing has started to crack open, there's still no butterfly. But I'm determined to stay awake until it makes its way into the world, and when it does, you'll be the first to know. The week didn't start out very well - I gave Dad a bloody nose on Sunday, Romie accidentally chopped up 18 brand new tulip bulbs on Monday, and at midnight that night our refrigerator stopped working. Nothing that couldn't be remedied, but I was ready for the tide to turn! It did. 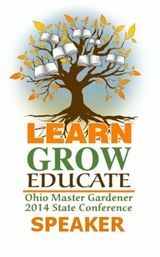 Last night, I traveled northeast to rural Defiance to speak to the Defiance County Master Gardeners. 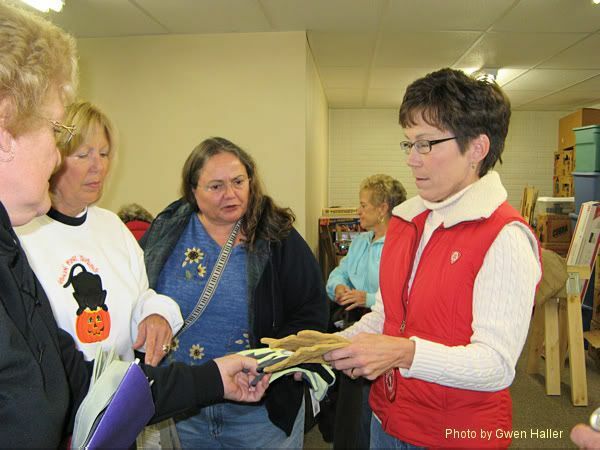 One of their members, Nancy DeTray, had asked me to speak at their October meeting, which was being held at her home. I'd never spoken to a group about gardening before, but since it's a subject I love, I agreed to do it. Their property is in a woods, with some gentle rolling to the landscape (so foreign to me, though we live in the next county!). 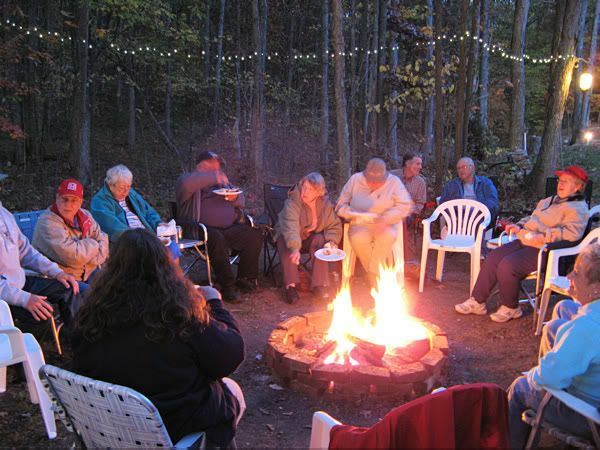 As I walked down to the fire pit, there was a group of about 25 people talking and laughing and enjoying hot dogs around the glow of the fire. I saw some familiar faces, since I'd met a few of them at the Lilac Festival earlier in the year. After eating, they conducted their monthly meeting, where I learned that this group had quite a lot going on. 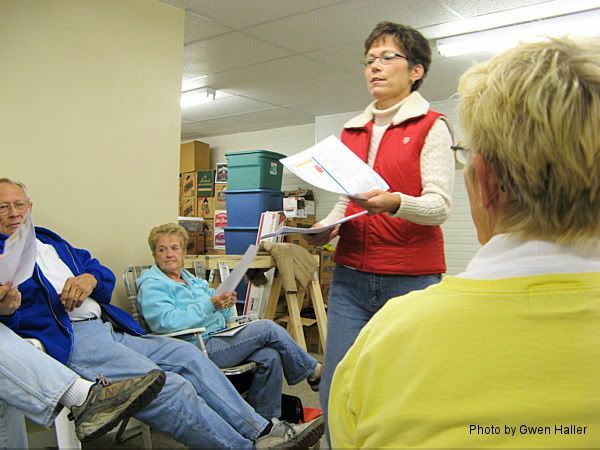 In spite of the fire, it was getting pretty chilly, as frost was predicted, so when the meeting was over we took our chairs to their basement and I gave my presentation. 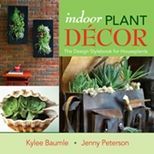 Nancy had said I could speak on any subject I wanted, so I'd decided to talk about garden blogging, since that's the reason she'd contacted me in the first place. 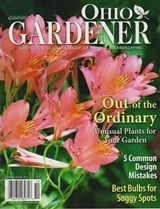 Standing in front of a group of Master Gardeners when you've only been gardening seriously for about three years can be mighty intimidating, but they were a friendly sort and I quickly was put at ease. Talking comes quite naturally for me (no snickers, now!) and before I knew it, I'd taken up about 45 minutes of their time. I explained what a blog was and I'd prepared a handout of the basic things seen on a blog. I told them of all the advantages of both reading and writing blogs and shared some of the wonderful opportunities that have come my way as a result of writing Our Little Acre. I also encouraged them to start a blog of their own as a group, since one blog can have many writers. I really hope they do, because I would be a regular reader! Thank you, Nancy, for giving me yet another opportunity to share my love of gardening with others and providing me with an enjoyable evening of meeting your wonderful group. 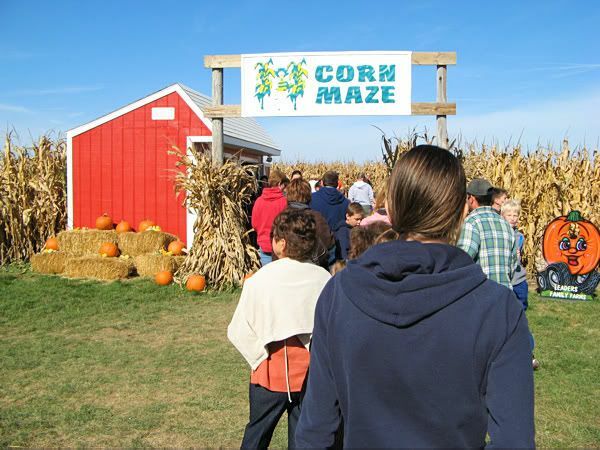 Just like last year, we went to a corn maze near Napoleon, Ohio, with Kara and Adam. But this year, Mom and Dad went with us, as well as my aunt and uncle, who were visiting from Godfrey, Illinois. 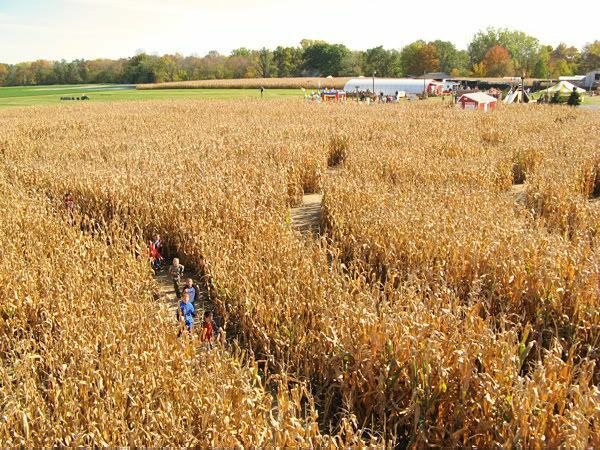 The four of them had never done a corn maze before and we thought it would be fun to have them go along. 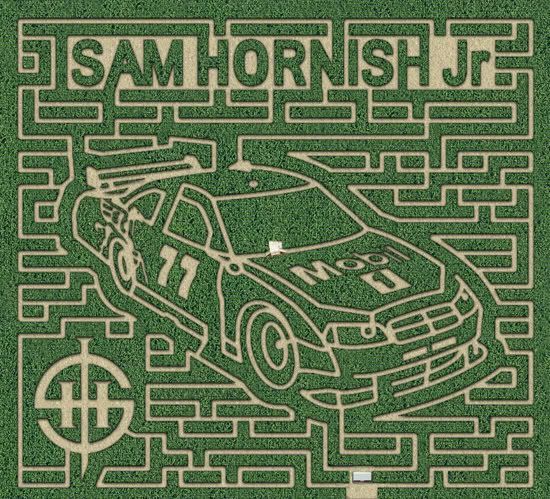 The maze design this year was in honor of Sam Hornish, Jr., winner of the Indianapolis 500 in 2006, who lives nearby. We divided up with the guys against the girls, to see who could finish in the quickest time. Last year, Kara and I beat Adam and Romie, so we had a title to avenge. Kara and I led the way, with Mom and her sister chatting like magpies behind us. We had to find ten waypoints, which were numbered posts, where we had to make a decision as to which way to go, depending on the answers to question on a Passport we were given at the start. In the middle of the maze is a tower, which you can climb to see the entire maze. You might think this would help you with the rest of the maze, but it's not tall enough to give that kind of a view. By the time we reached the tower and climbed to the top, we saw the guys way off in the distance and knew that they were way ahead of us and that we had some catching up to do! ...until something went terribly wrong. 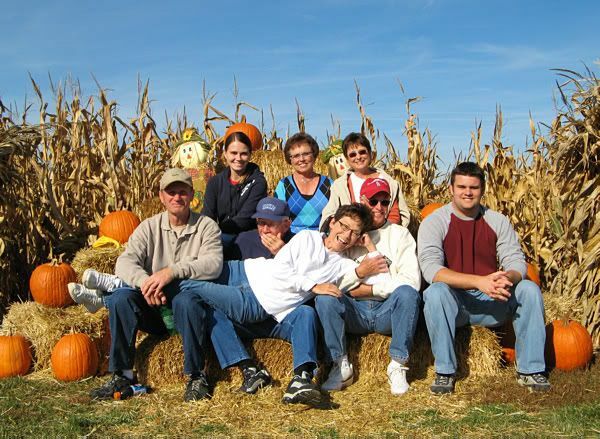 We wanted to take a group picture, and there were all kinds of places appropriate for doing this, but we chose the stacked straw bales with pumpkins and other fall decorations near the entrance to the maze. Everyone except me took their spots and I commented that there was nowhere for me to sit. Romie invited me to sit on his lap while I asked a nearby group if someone could take our picture. A young woman agreed and I handed over the camera. What happened next was just a tad chaotic, with a couple members of the family offering alternative suggestions for where I might sit. Uncle Bob said I should sit on the ground in front of the group. As I started to do that, Kara interjected that I could lay on my side, across the guys' laps. Now that sounded like a fun idea, so I tried to quickly get myself in position so that the person taking the picture could go back with her group. In my rush to get into position for the picture, I had accidentally elbowed my dad in the nose. He didn't say "Ow!" In fact, he didn't say anything until very quietly, we heard, "Wait. I've got a nosebleed." OMG. I hadn't even felt the contact, in all the hubbub. I felt awful! He was really nice about it and every time I asked him later how his nose was or told him how sorry I was, he would smile and say, "It's okay. It doesn't hurt now." But I still felt terrible about it happening. In spite of the mishap, we'd had a good time, but next year maybe I'll have to throw some punches before we do the maze so we girls can take our title back. "Look at the birds of the air; they neither sow nor reap nor gather into barns, and yet your heavenly Father feeds them. Are you not of more value than they? And can any of you by worrying add a single hour to your span of life? And why do you worry about clothing? Consider the lilies of the field, how they grow; they neither toil nor spin, yet I tell you, even Solomon in all his glory was not clothed like one of these. But if God so clothes the grass of the field, which is alive today and tomorrow is thrown into the oven, will he not much more clothe you - O you of little faith? Therefore do not worry, saying, 'What will we eat?' or 'What will we drink?' or 'What will we wear?' For it is the Gentiles who strive for all these things; and indeed your heavenly Father knows that you need all these things. But strive first for the kingdom of God and his righteousness, and all these things will be given to you as well. So do not worry about tomorrow, for tomorrow will bring worries of its own. Today's trouble is enough for today." Remember the Dunkin Donuts commercial from several years ago? Fred the Baker wakes in the middle of the night and trudges off sleepily to work so you can have fresh donuts every morning. The feeling conveyed was not of excitement - I mean, who wants to get out of their nice, warm bed while it's still dark to go to work? A lot of us do just that, and I put in my fair share of years of it, including those that also meant rousing two sleepy girls that needed to go to the sitter's while I "made the donuts." 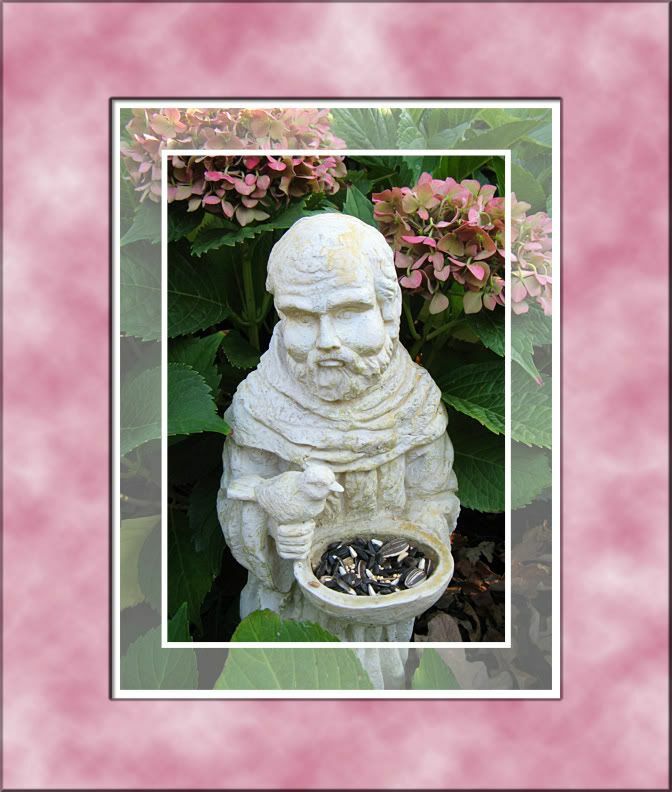 So what do donuts have to do with gardening? I use the phrase "Time to make the donuts" now and then to refer to something that needs to be done. It's not always something I look forward to doing, but is necessary. In this instance, it means it's time to bring in the tender plants before the frost comes. Some need to be dug and potted up. All need to be checked for hitchhiking bugs and treated with insecticidal soap. And I have to make room in the house for them. Ugh. If you remember, I had *cough*170+*cough* house plants to take care of last winter. Sure, many of them were in the basement greenhouse, but that's still more than I really enjoy keeping an eye on. Sometimes I just don't feel like checking on them and when I do, there are signs that they needed to be watered a day or two before. Sometimes they get spider mites. It's always something. I love when I can take most of them outside in the spring and they like it, too. They grow better, they're healthier (not anemic and leggy), and for the most part, Mother Nature takes care of them. I just have to water them now and then and I can use the hose, which is much easier than having to fill and refill the watering can in the house. But I'm also not willing to lose most of them. 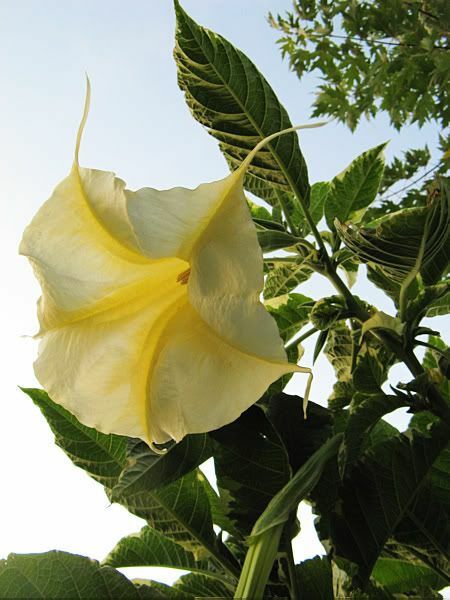 Take the brugmansia, for instance. I raised nearly all of them from sticks that someone sent to me. They're white, pink, peach, and yellow and they smell heavenly - like some girly soap. Last summer, we decided to plant some of them in the ground and they grew much larger, so we did the same this year. Last year, Mom had given me a variegated brug that someone had given her. I already had one, but it was much smaller. I didn't get it until fall, so it didn't spend much time outside and then when I took it to the basement, it did okay, except that by spring, it had lost almost all its foliage. That was okay though, because experience taught me that they'll do that, and then in the spring will sprout new leaves. We took that brugmansia outside this spring and planted it in the new part of Max's Garden, which had freshly-amended soil and was in full sun, which brugs like. We watered it well, since they like that, too, and it grew and flourished. We didn't really notice how much until this week, when it was time to dig it and pot it up for winter. Our brugmansia plant had turned into a tree. We really hadn't noticed. It's kind of like your kids. Now what??? First, to find a pot large enough to hold it. Check. Second, get that big boy dug up. Uh, check. (She grunts.) Third, lift it out and stuff it into the not-really-big-enough pot. I could never have done this by myself without killing the thing. Romie helped me and its future is yet to be determined, but so far so good and we've got our fingers crossed. In the meantime, it's residing in the living room, with a southern window exposure. I'm pouring copious amounts of water into the pot and it's lapping it all up like a thirsty camel. It's also blooming like there's no tomorrow. I counted 88 flowers, all in various stages of bloom, and I'm sure I missed some. EIGHTY-EIGHT! It lost several, too, in the transplant. Unbelievable, for what's supposed to be a houseplant for me. But the best part is the smell. Oh. My. Gosh. 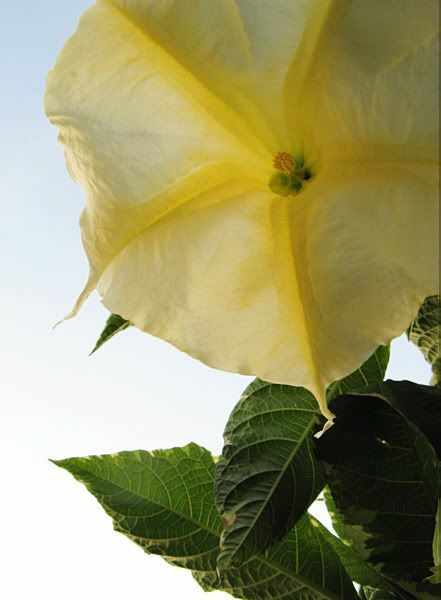 Brugmansias have their strongest scent at night. You'd think maybe it was only this way if it's outside, but it's the same when they're in the house. You can smell it all over the house, and we have a two-story house. No need for plug-ins with this in bloom! 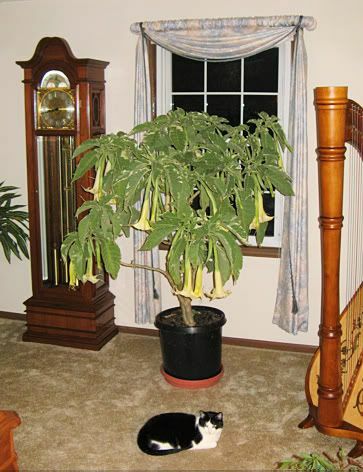 Eventually, the brugmansia will retire to the basement for the bulk of the winter, because it will lose its flowers and foliage. I'll reduce the watering and wait for spring. We've already decided that we don't dare plant it in the ground next year or we'll never be able to get it out and it will die. I could take cuttings or prune it back, but it has such a nice form now, I don't want to mess with that. About the other indoor plants that have been outside all summer - the orchids are now in, as are the Abutilons and tropical hibiscus. The two bougainvillea have been potted up and brought in. These were beautiful small shrubby plants this summer, but we were disappointed that neither of them bloomed this year. 'Imperial Delight' was just gorgeous last summer and this year was just as dry, which promotes blooming. Maybe I watered them a little too much. There are still some to bring in and I have to decide whether or not I'm going to pot up the coleus. They are such gorgeous, rich colors and very lush. I've taken cuttings, but the main plants are so nice, I hate to let them succumb to the cold. The weather report tells me I've got a few days to decide. HIGH PRESSURE WILL BRING CLEARING SKIES AND LIGHT WINDS TO THE AREA TONIGHT. AREAS OF FROST ARE EXPECTED OVERNIGHT ESPECIALLY EAST OF HIGHWAY 131 IN MICHIGAN AND EAST OF HIGHWAY 15 IN INDIANA. THE FROST ADVISORY REMAINS IN EFFECT FROM 2 AM TO 8 AM EDT SUNDAY.